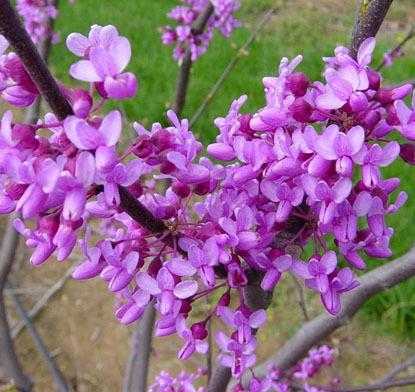 Profuse pink-purple flowers in spring are borne directly on stems. Leaves are heart-shaped. New growth is reddish purple, changing to green. Soil adaptable, but not permanently wet. Makes a beautiful specimen. One of the most stunning native plants when in bloom. NATIVE.